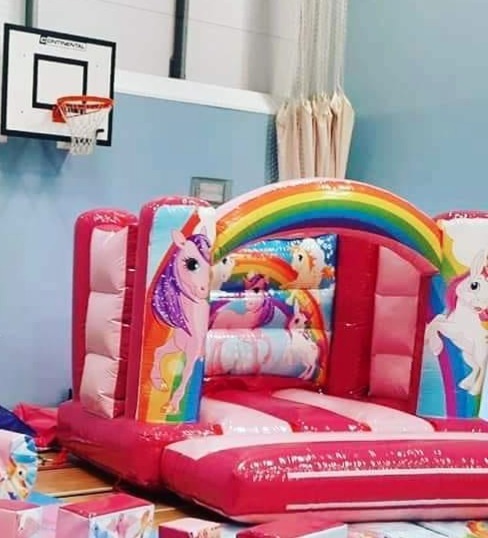 I had booked the entertainment for my son's 5th birthday party, the kids all loved it, especially the bouncy castle, the girls were brill with the kids. Fantastic party for my little boys 5th birthday. Stacey introduced herself and explained the party schedule before it started. The team had the kids entertained with party games, face painting and disco. The bouncy castle was amazing with light up glitter ball inside.Thank you to Spider-Man too...very attentive to the birthday boy as well as the other kids.So thrilled with this party, the memories the kids will take away from today is priceless.Amazing.. will be booking you again next year. Thank you. had the disco and bouncy castle for my daughter on Saturday and from start to finish was amazing! will defiantly be booking with yous again. how do you entertain 35 children? book candy kids entertainment! alot of people have asked about yous from the party because yous we're so good! if I could give 10 stars I would.. totally recommend there great! !